Since the shooting at Marjory Stoneman Douglas High School, it seems that a new element of sheer and deadly incompetence by the local police and FBI is revealed each and every day. 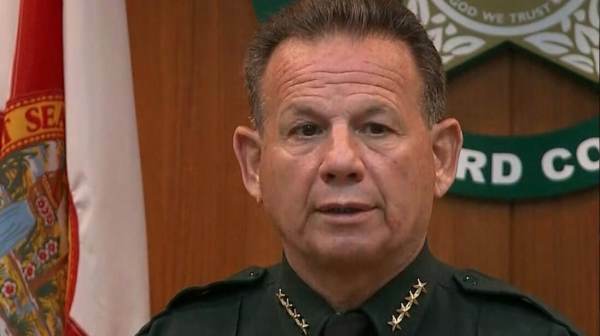 In this latest finding, a Broward County Sheriff’s deputy has been suspended after a student discovered him SLEEPING inside his patrol car outside Marjory Stoneman Douglas High School as the shooting went on. If you thought an officer sleeping while a psychopath rampages a school wasn’t enough, ABC Local 10 reports that Deputy Moises Carotti will be suspended with pay while they investigate. Coleman-Wright said just after 5 p.m. Monday a student told another deputy on the campus that Carotti was asleep in his marked patrol car near the 1200 building, the site of the mass shooting that left 17 people dead last month. Roughly 30 minutes before Moises was found asleep, other deputies arrested Zachary Cruz, the brother of gunman Nikolas Cruz, for trespassing. Although Zachary Cruz had been told several times to avoid the campus, he rode his skateboard onto the grounds to “reflect on the school shooting and soak it in,” deputies said.